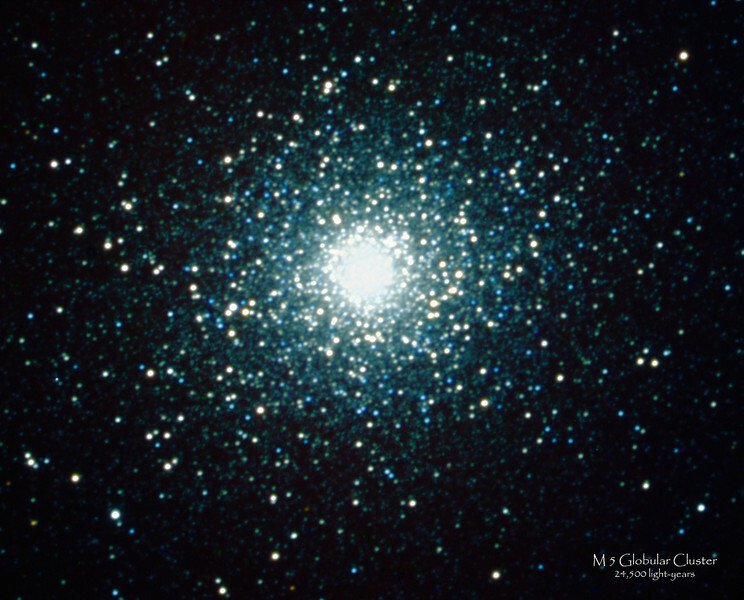 M5 (or NGC 5904) is a globular cluster in the constellation Serpens. It is relatively close to earth and is associated with the Milky Way, but is about 13 billion years old. It is made up of between 100,000 and 500,000 stars. It used up its star-forming gasses early in the history of the universe and so has remained stable since. It is one of the prettier of the clusters to photograph.